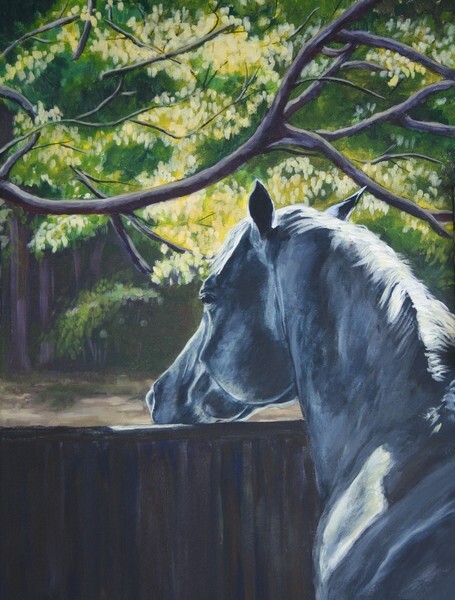 SOLD - I snapped a shot of this little grey pony staring out his stall window one day many years ago. But I didn't know how to paint it until recently. The original is sold, but this painting is available as prints and on canvas. You can also get it on T-Shirts, mouse pads, etc. Please see below.